Cacti are an incredibly fascinating group of succulents. 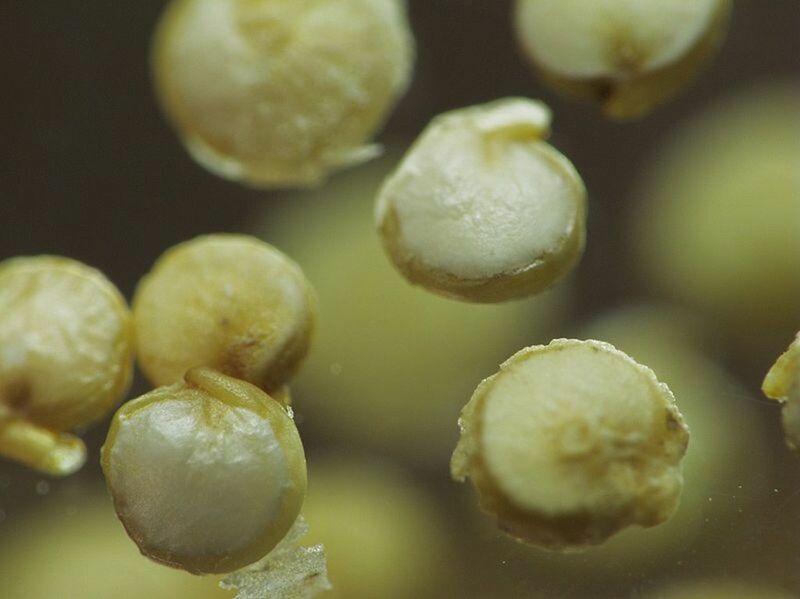 Often thought of as annoying, tough, spiny and menacing they are not automatically thought of as a nutritious food source, but they most certainly are. With over 1,000 different species of cacti, they range from a few inches in height to over 100 ft tall. For more interesting facts on cacti check out Characteristics of Cacti plants. I have always had the varieties of cacti that are for indoor use and love them. Intrigued by their shapes, stems, flowers and even their spines. I find it hard to resist purchasing a new one every so often to add to my collection. My partner on the other hand detests them and puts up with them as long as he has nothing to do with them! Luckily for him they are not native to Ireland but they are, however native in southern Italy where we will be moving to. In fact there are a number of large prickly pear cacti beside our property which is something I at least look forward to! Native to the Western hemisphere, this cactus fruit is a common sight in arid or semi-arid regions of the world particularly in Mexico, The Americas, The Mediterranean, Australia and Africa. The prickly pear cactus is the only member in the Opuntia genus of cacti and there are over 200 different species. They have three striking features. They are easily identified by their large paddle like shaped leaves, also known as nopales which are in fact flattened stems. 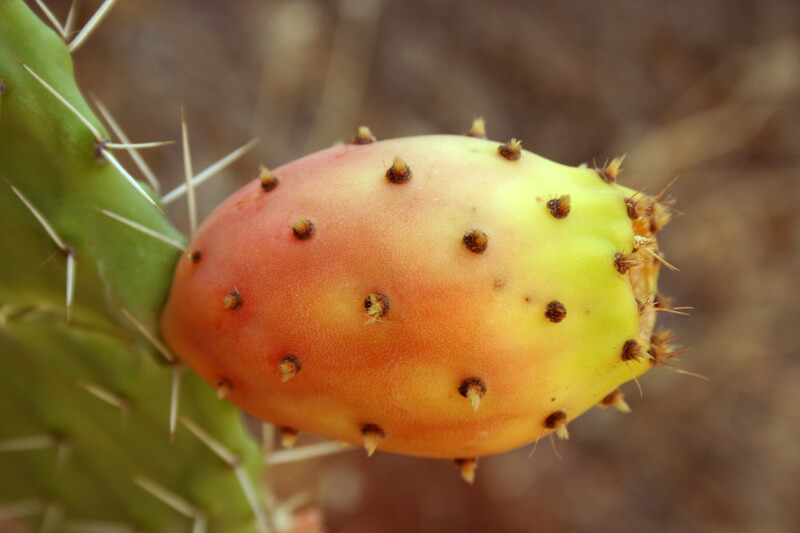 Another feature of prickly pears is their fruit or tunas which vary in color from yellowy-green to deep magenta. The third and most attractive feature is their flowers which are also edible. They vary in color between yellow, orange, red to mauve. The fruit varies in size, from a small plum to a large kiwi fruit and both stems and fruit are widely eaten and used in different ways. Fuchsia Fruit – Did you know Fuchsia flowers have fruit that is edible? Rambutan Fruit – A tropical fruit similar to a Lychee. Nettle Plant Tonic Recipe – Nettles do much more than sting you. Contains Calcium, Magnesium, Potassium, Iron and Amino Acids. When introducing a new ingredient into our diet, easing into it is advisable. Some side effects associated with prickly pear include nausea, mild diarrhea, increased stool volume, increased stool frequency, headaches and a fullness of the stomach. 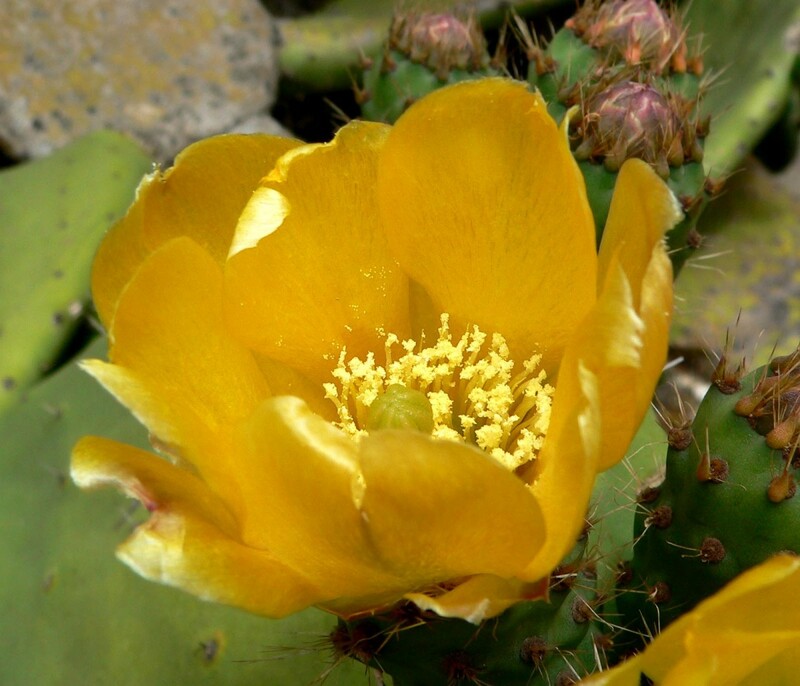 NB - Do not take prickly pear if pregnant or breast-feeding or if undergoing surgery within the next 2-3 weeks. If you are taking medication, always seek medical advice when considering adding this food or any unusual ingredient into your diet. * Research is still being done into these claims. 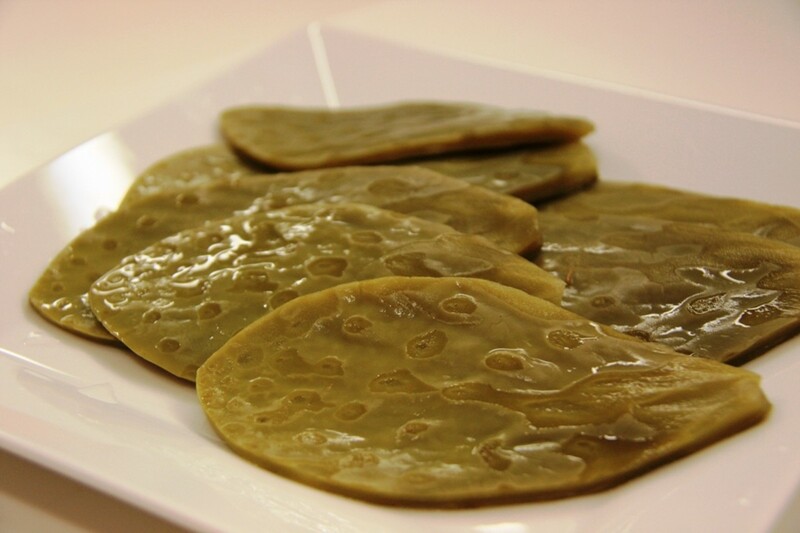 The flat green stems or pads are eaten like a vegetable. Thick and fleshy they are widely used in Mexico as a staple food in the diet. 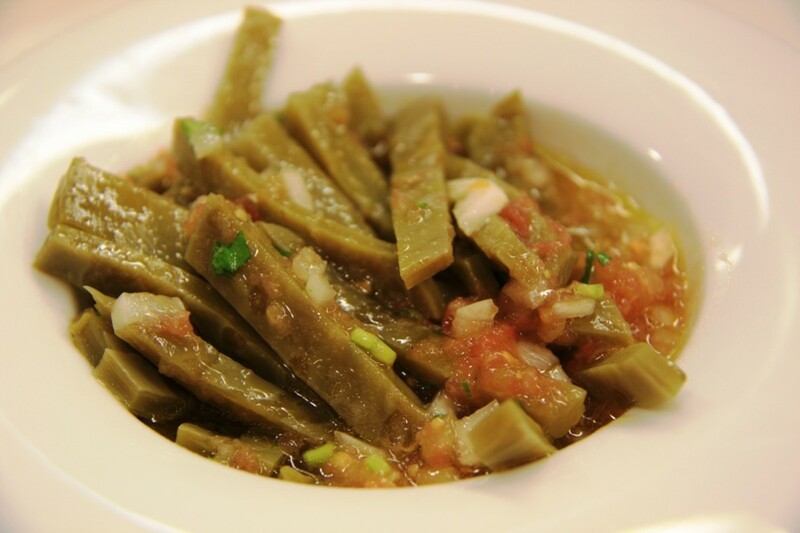 When cooked they have a taste comparable to green beans and a texture similar to okra. The pads are often sold whole or cut up in strips or cubes and bagged for convenience. If you fancy harvesting your own stems from the wild or your backyard, no problem but you need to make sure you follow a few pointers. Wear thick gloves or use a long tongs as the spines are extremely irritating if lodged in the skin. Pick young stems that are approximately the size of an adult hand and ½ inch thick. Bright green and firm ones, harvested in early spring will be the most flavorful, succulent and have fewer spines. Thicker, older pads have a thicker sap which many people find have an unpleasant taste. Cut the nopales with a sharp paring knife or twist off, leave an inch of stem behind for it to re-sprout. 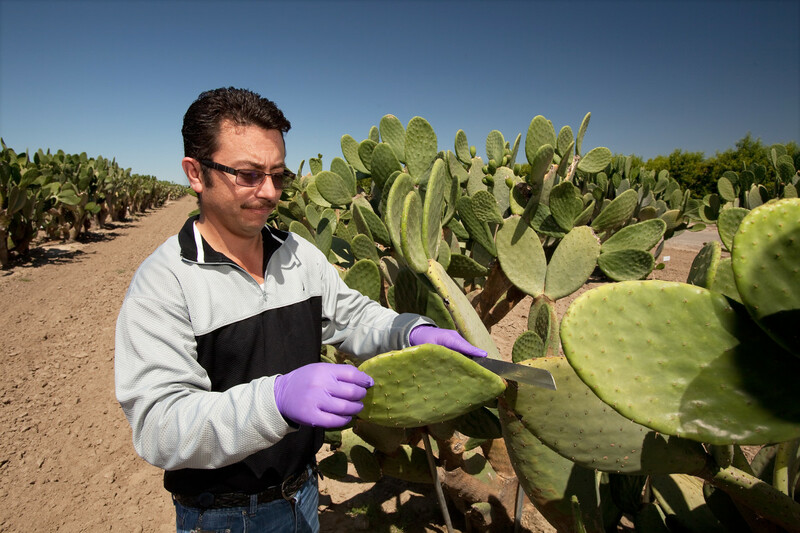 Cutting is preferable however as it is less stressful on the plant and helps keep the cactus plant healthy. Pop them into a large plastic container or even wrap in newspaper if harvesting in the garden. You need to remove the spines and glochids as soon as possible. Wearing gloves, peel the pads with a potato peeler to remove all the spines and rinse thoroughly. Go over them to double check all spines are removed. Apart from the large spine there are also small, hard to see small ones called glochids. The glochids are particularly hard to remove if embedded in the skin so do take care. Some species of prickly pear may not have spines but they will all have glochids. Another method of preparing the pads is to burn off the spines and glochids with a blow-torch or over a flame using the tongs. Peel all around the outside edge of the stems. Depending on how you are using this vegetable will determine whether you leave whole, in strips, or cubes. If not using immediately the fresh stems may be stored in the fridge. Wrap them tightly in Clingfilm or plastic wrap and store up to 2 weeks. When cutting the stems, a tip is to wipe the knife after each cut on kitchen paper. There may be glochids still present. Boiling - When boiling the pads, you may have to change the water and re-boil a few times. The sap that comes from the pad may be thick. As a guide, the thicker the pad, the thicker the sap. The pads are then drained off and rinsed in cold water. Why not make up an authentic Mexican salad using chopped onions, cilantros, jalapenos peppers, diced tomatoes and a squeeze of lime juice, salt and pepper. Grilling - If grilling the pads, season well with salt and pepper. The pads are ready when they are slightly brown in color and tender to the touch. They could also be seasoned with a little olive oil, squeeze of lime juice and a little salt. 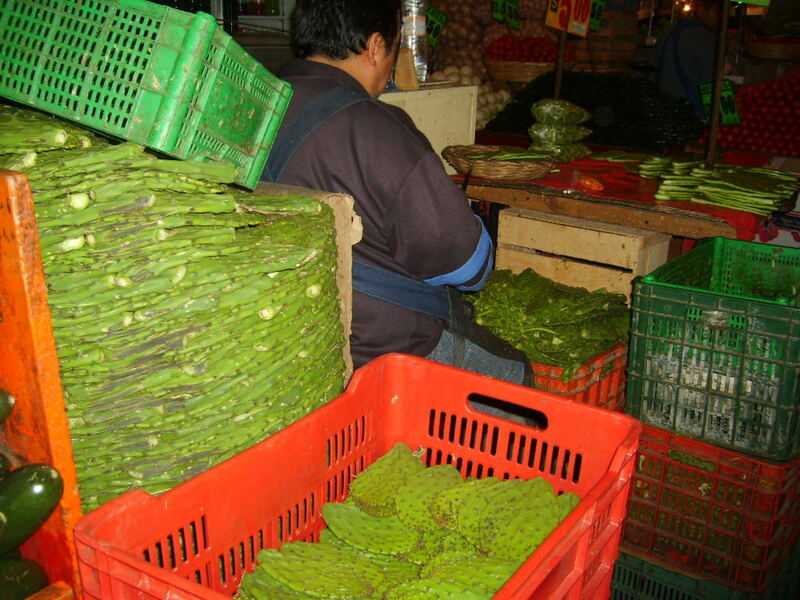 Cooked nopales may be added into so many dishes. Why not try mixing them into casseroles and stews. 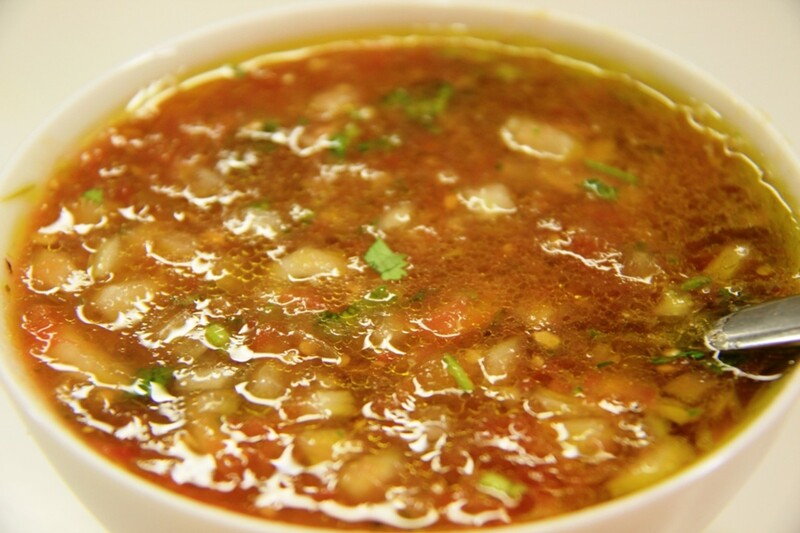 A hearty vegetable soup is a good option as is a summer salad or even just have them alone, your choice is yours with this versatile, nutritious vegetable! If it is your first time trying cactus pads, buy them rather than harvesting your own. You may also sauté or steam the pads if you prefer. Try Elmer’s glue for removing any spines or glochids. Apply the glue over the spines and allow dry until a “skin” forms. The spines lift easily when you peel off the glue. This will also work for any spines embedded from the cactus fruit and works for splinters. If you don’t have the glue, try using duct tape or masking tape instead. The prickly pear fruit or tunas are oval and vary in size and color. They have an outer slightly tough skin and a fleshy, juicy pulp. They also contain seeds which are edible though many people prefer to remove these. Whilst they vary in color, the deep reds to purplish ones tend to be the sweetest ones. In Mexico however, the white tunas are the most popular to eat even though they are less sweet. The name is a bit misleading too as they are in fact green! As with the stems, the fruit will have glochids. 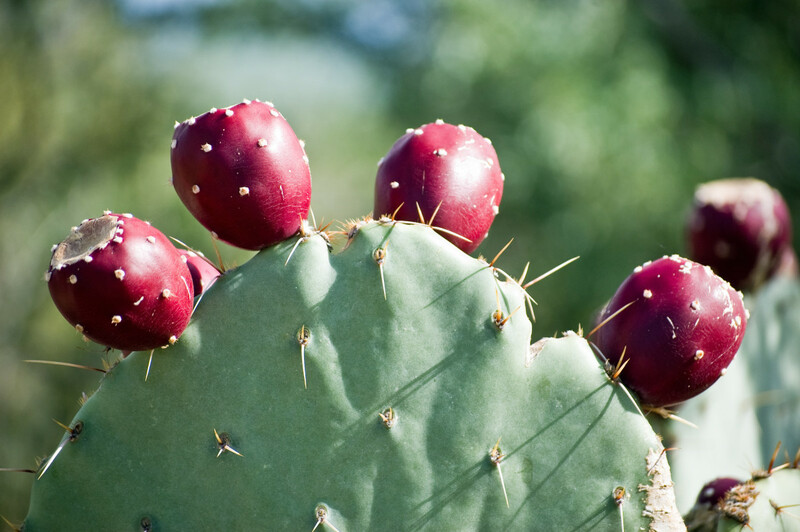 The store-bought prickly pear fruit should be spine free and be safe to handle without gloves. If unprocessed they will need to be thoroughly washed and cleaned before handling them, so always use gloves and a tongs (long BBQ style tongs are perfect). Would you eat cactus fruit? No definitely not for me. Yes, I have eaten it before and love it. I tried it before but wasn't crazy about it. When harvesting your own fruit, remember to wear gloves or use a long tongs. While all cactus fruit is edible not all will be necessarily ripe so look for the darker skinned tunas before they start to wrinkle. They detach pretty easily but use a knife if needed. Place them in a container, colander or wrap in newspaper or even a few plastic bags, depending on where you are collecting them from. Using a tongs, place the fruit 5-6 at a time in a colander and rinse gently under cold water by swirling around. This will remove all the hard to see glochid spines. Keep doing this for 3-4 minutes taking care not to bruise the delicate fruit. When full satisfied, remove the pears from the colander and pat dry. With a sharp kitchen knife, slice off the top and the bottom of the fruit. Cut the fruit lengthwise just through the skin (similar to peeling an orange) and make a slit. Use the knife to help lever off the skin and peel off the thick skin. The fruit is delicious eaten as is, sliced, chopped or added into a variety of dishes such as sorbets and jam or made into drinks such as a prickly pear juice, smoothie or wine. Refreshing and cooling, this fruit is definitely one to try if you have not done so yet. It is a bit of a cross between a kiwi fruit and a watermelon, in my opinion considering taste and texture. I prefer to either remove the seeds completely or spit out if eating the fruit whole (as you might with a slice of watermelon). After carefully removing the spines and skin, I make a juice from the pear pulp. 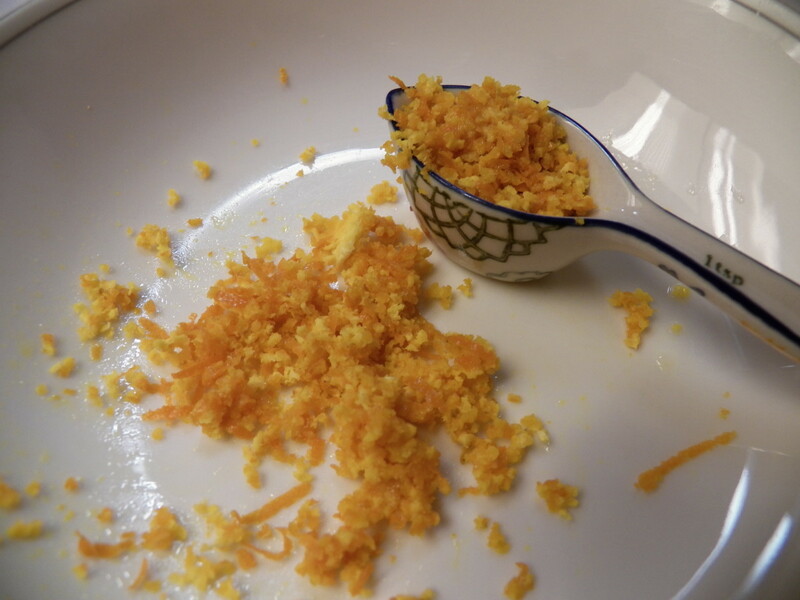 Usually I blend the skinless pulp then strain out the seeds. Usually re-blend the unstrained remains with a little water two or three times to maximize the extract. I definitely think it worth the effort. We have some of these plants growing near our fence. I ate cactus candy when I was younger, but haven't eaten it since. My Mexican cookbook has recipes. It is about time I picked some and tried some various dishes with it. Interesting article. I bought some of the fruit for the first time at a veg market and was interested in getting info on preparing them. Interesting info. Thanks. Excellent hub! Thank you for getting the word out about this marvelous plant. I spent many wonderful hours out of the desert harvesting the pads and the fruits with my grandma, many years ago when Phoenix and Valley still had desert. Definitely give them a try, you will be pleasantly surprised! We don't get them here but we have them growing in Puglia so what a bonus that is although my partner is not a fan of cacti in general so will have to surprise him with this fruit and then tell him what it is, it may sway him! Cheers for comment, much appreciate your interest! Lovely to receive your comments again, so good to know you are among the prickly pear so have no excuse now! 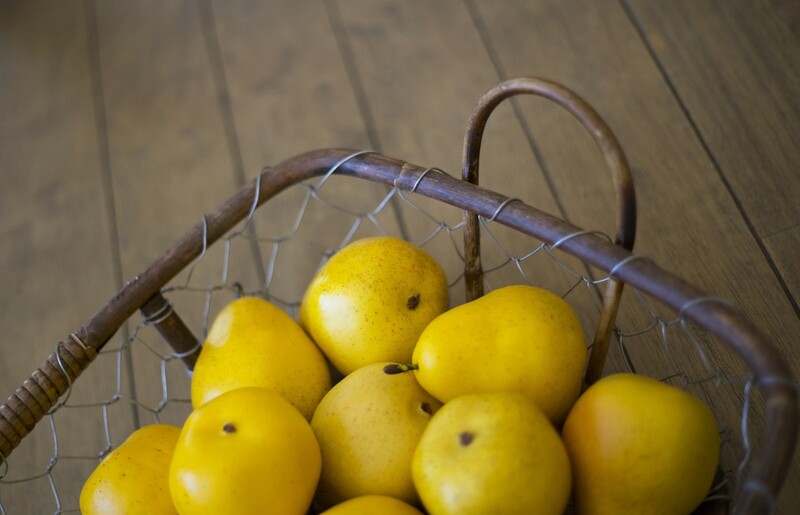 Enjoy going pear hunting and i am sure you will be glad you did! Appreciate you stopping by!! Great to see you again, always a pleasure! many thanks for your lovely comments which are really nice to hear. Appreciate you taking time to vote, share and read, cheers!! Many thanks for your visit and welcome support. The cactus fruit and pad are so nutritious I am surprised you were not familiar with it. Glad you picked up some new information here. Many thanks for your votes and share, appreciate them greatly. Suzie, that cactus and its fruits were edible, is news to me. This information was entirely new to me and I learnt a great deal. The jam looks so good. The fruits too look delicious in the photos. Thanks for your comments on the prickly pear. Hopefully you may get the chance to tackle again on your travels or try it at the supermarket or market, they are delicious!! Very popular in Africa too - have to say I never had the courage to tackle though prickles when I lived there!! Many thanks for reading and for your comments. 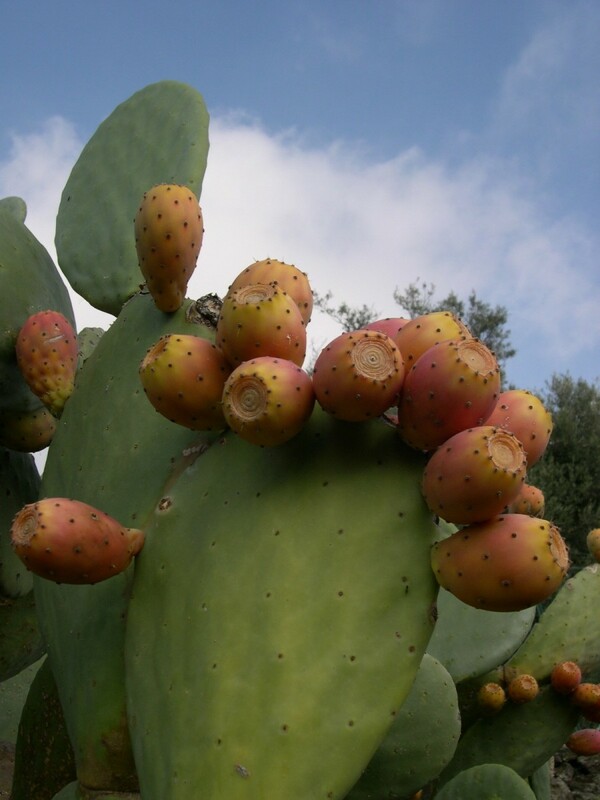 The prickly pear are definitely found in Italy, that's for sure so it is cool you ate them there. Hope you get to make the jam for a delicious change. Appreciate your input as always! I really want to try that jam! How timely, a cookery program showing the Prickly Pear It was on a cookery show (Australian masterchef) I saw the pad pr stem being cooked for the first time and was fascinated. Hopefully you will be able to get some of this fruit together and try it out! Thanks so much for your input, love hearing this kind of info! We were watching a cooking show the other night and one of the ingredients was this prickly pear. My daughter was fascinated and thought it would be fun to try this. I'm definitely showing her this hub. Thanks for commenting, the spines are really painful but if you go picking them now just wear good thick gloves to prevent further incidents. Hope you get to enjoy them! This is something I always wanted to try when I was a kid! It resulted in a lot of prickle wounds while exploring the cacti around my grandmother's house. Apologies, I did reply and it seemed to take a wobbler in mid stream so did not get it replied to properly! Thanks so much for your constant support this side of the Irish Sea, great to have you visit as always! Much appreciate your votes and share here, maybe you will get to try cactus fruit, it is gorgeous!! Mmmm interesting and useful !! !What a great share and I vote up plus share. How great if you could publish that!! Would love to have that in my collection for Italy as prickly pear is everywhere and easily bought at markets. I have never had the white variety so it's interesting to see in Peru it too is very popular like in Mexico. Thanks so much for your great input here, as always you have a wealth of info I love hearing! Appreciate your votes and share, Cheers Vespa! It's been a while since I've had nopales. In Peru, the cactus pads are given to cattle once the spines are removed. I could easily get my hands on some, though, and try your recipe. They're very popular in Mexico! As for the fruit or tuna, I just ate some yesterday (seeds and all). The red tuna is sweeter, as you mention, but in Peru the white is also more popular. I think it's because they have a crisper texture than the red. 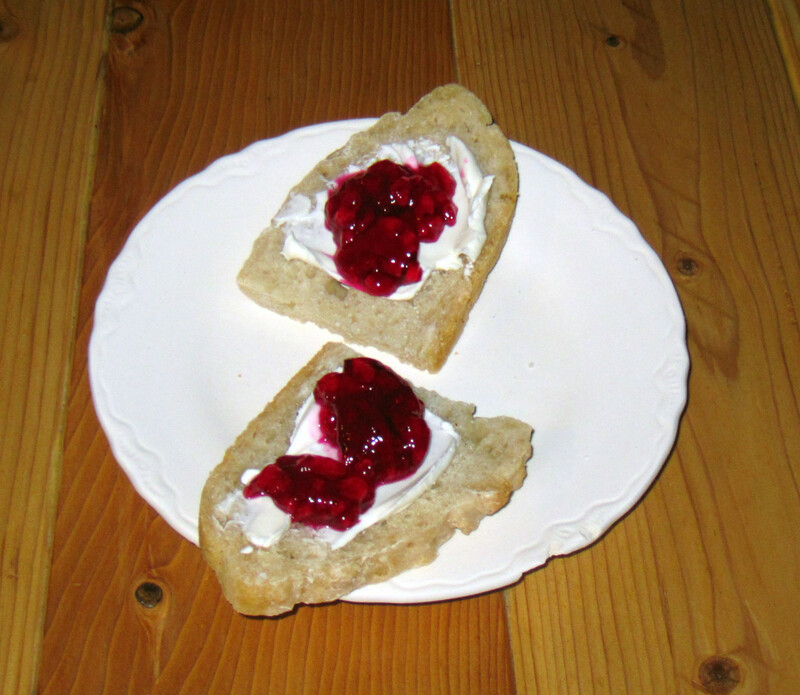 I actually did prepare a hub about prickly pear syrup, but never published it. You've inspired me--I'll have to think about reworking and publishing it. Another great Hub. Voted up and shared! Lovely to have you here! Yes, it is amazing these plants often the cause of pain from the spines is edible. The prickly pear variety is so versatile too with the stem, fruit and flower used. Even the sap in the pads is used in cosmetics. For some this plant grows in abundance around them, what a natural free source of goodies they have! Thanks so much for taking the time and interest to comment, appreciate your votes and shares! I had no idea people eat these! I would highly recommend following the suggestion of wearing heavy gloves. For some reason I grabbed one of these babies in some store when I was a young kid. To this day, I cringe when I see a cactus even though they are beautiful. I would never have thought of the fruit of a cactus being edible cactus fruit (in that sense of the word). Voted up and shared. So grateful to see you here! Glad you enjoyed this and hope you found useful. Many thanks for your warm comments and votes, always a delight to see you Prasetio!! Beautiful and I love this hub very much. The photos you included are the best. Thanks for writing and share with us. Voted up! Many thanks for stopping by! These would be great for you to try out in Peru! 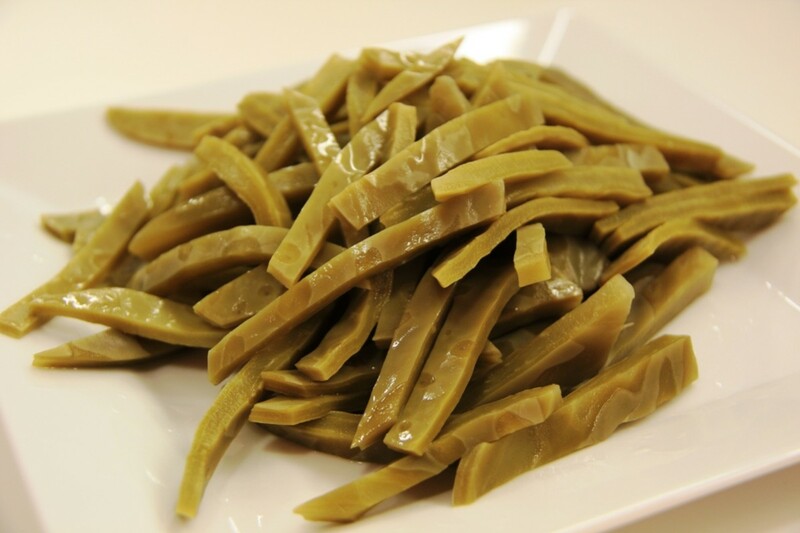 I favor the fruits I have to say as "green beans" are one of the few vegetables I am not a fan of! Having said that, the pads are worth trying out if you have them in abundance and they are easily harvested for you. The fruit in juices and smoothies is great chilled for a cooling drink during hot sunny summer days. Many thanks for commenting and interest here!! Cheers for the support here, hope you get to try these wonder plants sometime! Thanks for having the interest here and for commenting. Hopefully you will find them available to try in your area. The stems and fruit are edible and used in different ways which I find so interesting. Thanks so much for votes, sharing and pin!! Cool to see you! Love your story you included. it reminds me how my mum used to sketch and paint out in nature too. A great gift you have. Prickly pear are one of those plants that could sustain you if stuck out in arid or desert areas with no food or water. It is amazing finding all these unusual edibles in the wild that are so useful. Keep on sketching my friend! Appreciate the votes and thumbs up!! Isn't it amazing at what Mother Nature has given to us? Even a thorny plant gives us food and nourishment, it would be a good alternative to many popularly-marketed vegetables and fruits around. Since cacti are easy to grow because they need little water or care compared to other garden plants, it's really a big blessing. interesting hub, these prickly pears are all over the place at the moment in peru since they are in season. I'm not sure i would do the cooking using the cactus but the jam is a great idea, never thought of that. great hub! i never tasted a prickly pear cactus recipe before. Wow, never knew these were edible. I am a cactus lover too. Had a few varieties in my garden in India. I haven't seen these in the markets either, for sale as edible food. Thank you for sharing this hub. Voted up, pinning and sharing! What a detailed and generous hub, full of great information. When I lived up a mountain in Andalucia prickly pear were everywhere. Being a dreamer I only ever sketched and painted them and watched the lizards run through the spikey pads. 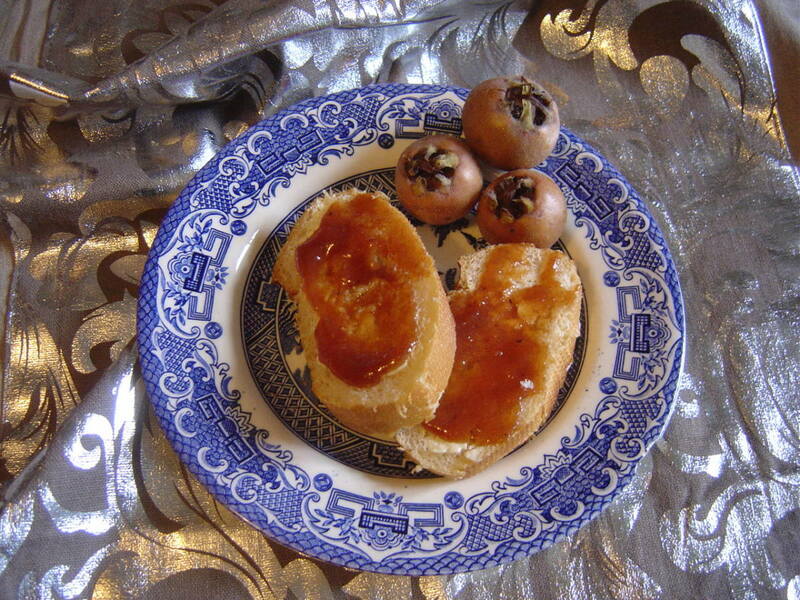 A neighbour down the track though was more practical and one year made loads of prickly pear jam - chumbo jam!! It was lovely. I still have my sketches! I'll vote for this interesting hub. Lovely to have you visit here! 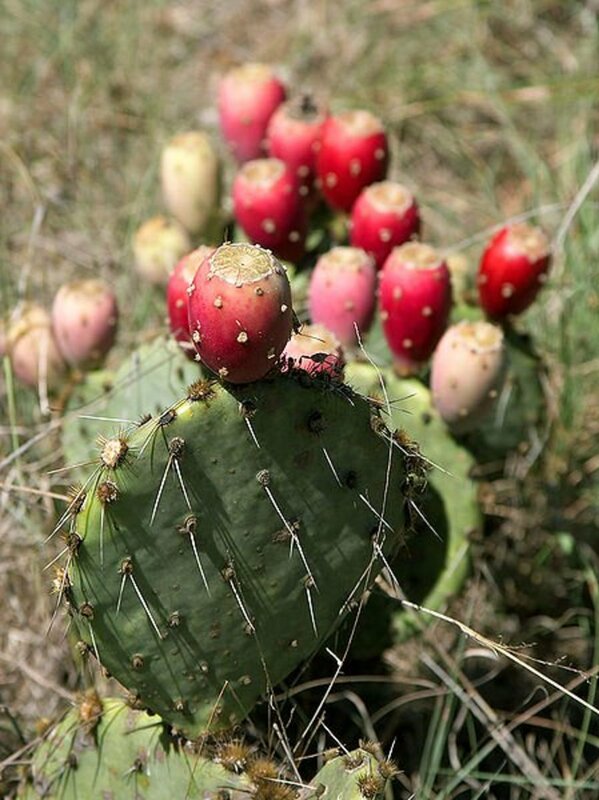 Yes, prickly pear cactus is edible and very versatile. Hope you get to try it out now! Thanks so much for the votes!! Before seeing this Hub, I had no idea that Cactus is an edible plant. Good Hub, voted up!